A recent heatwave not only risks the life of many grasses– a heatwave also puts turfgrass managers’ livelihoods at stake. Cool season turfgrass varieties struggle to survive as the heat index climbs into the 100’s earlier than usual this summer in many areas of the U.S. and around the world. Virginia is one of many U.S. states experiencing a near record breaking heatwave. Golf course superintendents, lawn care professionals and other turfgrass managers have not only the grass at stake, but also their jobs. Dead grass is a sure fire way to get fired if your primary job is to keep grass alive and well. Heatwave or not, expectations are to keep grass alive in all conditions. 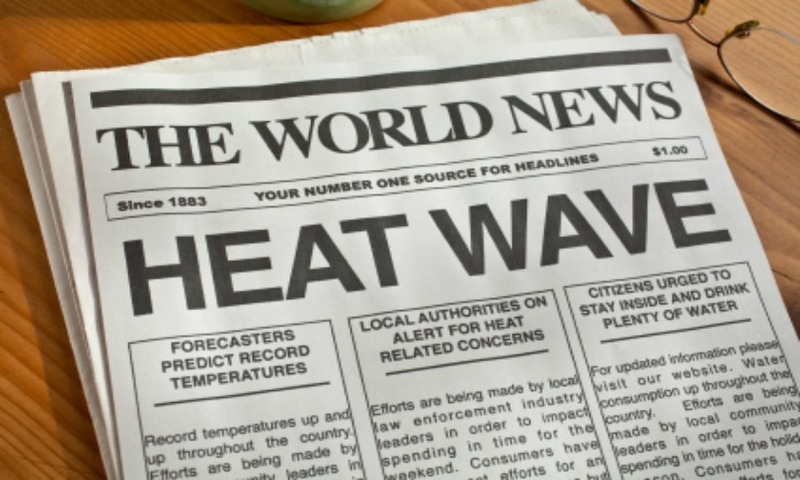 Geoponics is providing a lifeline to turf professionals and home lawncare providers during the heatwave with the fastest-acting soil surfactant for water management and Agriox for oxygen. As the heat and humidity cause grass roots to suffocate without added oxygen, Agriox provides a liquid aerification process. Meanwhile, Penterra, the fastest-acting soil penetrant, HydraHawk and Humawet provide water management when various wetting agents and surfactants are needed to survive the heatwave. The best surfactant, penetrant or wetting agent is dependent upon whether the soil needs to hold more water because it’s drying too quickly or whether the water needs to flow and penetrate deeper into the soil. Many cool season turfgrass varieties won’t grow at temperatures above 80 degrees Fahrenheit. As summer temperatures are rising early and lasting longer, golf courses, lawns and other grass areas are at risk of death. It does not take long for heat, humidity or extremely dry conditions to combine and kill turfgrass. In fact, the intense heatwave can cause turfgrass to die in a matter of minutes. The world’s fastest-acting soil penetrant combined with Agriox not only saves turf but keeps it gorgeous as experienced golf course superintendents know the tricks to survive heatwave conditions that if left unchecked can kill grass in minutes. 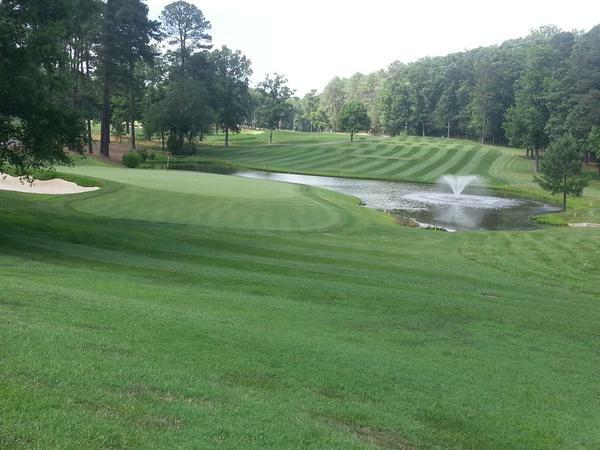 Check out the gorgeous turf conditions at Hermitage Golf Course in VA where the turf survives and thrives a heatwave with Geoponics soil surfactants and soil oxygen. Penterra, HydraHawk, Humawet & Agriox are saving turf, golf courses, home lawns and careers. Penterra, the fastest-acting soil surfactant on the market, is literally a life saver for these cool season grasses subjected to early and high lasting heat. Turfgrass can die in a single day and water management is key. When water sits on the surface or needs to get deep into roots, Penterra is the soil penetrant of choice and is the very best on the market worldwide because it is the fastest on the market. Turfgrass professionals have been working seven days a week and long days to keep valuable turf from dying during the heatwave. Golf course superintendents with years of experience know to turn to Geoponics products immediately in these conditions to save their turf and continue their successful careers. Others are quickly catching on to their trade secrets. Lawn maintenance professionals and golf course superintendents are adding Penterra, HydraHawk and/ or Humawet to their arsenal for water management. Agriox is their go-to for soil oxygen, which is also needed during the heatwave. Buy these heatwave lifesavers now. Home lawn care providers and home owners now have access to these affordable, professional products as well through Geoponics online store. These are earth-friendly and non-toxic methods to save your lawn during the heatwave. Penterra and HydraHawk get the water moving through to the roots during high humidity and spongy soil conditions. However, as conditions change fast, the most successful golf course superintendents, turfgrass managers and landscapers also keep Humawet at hand for when soils quickly dry out. Humawet is a soil surfactant that helps the soil hold water when it’s needed. Whether due to high humidity or rain, too much moisture can turn soil and greens to a sponge. That’s when the fastest-acting soil penetrant, Penterra, and/or HydraHawk, come in handy to keep the water moving through the soil and into the root zone. Buy now. Click here. Water management alone may not save turfgrass susceptible to die-off in extreme heat waves such as experienced in Virginia early this summer. Soil needs oxygen as well. Agriox provides liquid aerification of the soil. One of the most important things to grass survival is to get air into the soil so grasses can breathe and don’t die from the heat. Agriox and Penterra together have been life savers for home lawns and on many of the premier properties across the world experiencing heat waves, including Virginia. The conditions in southern U.S. states are an anomaly. Nonetheless, it’s the kind of conditions that people lose their jobs over. In minutes or an hour, golf courses can start losing their greens as cool season grasses become high maintenance in the summer months.